This ten-point, five-strap system quickly and effectively secures patients to backboards and other devices. 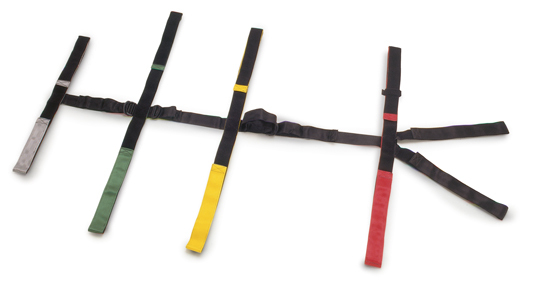 Color-coded straps are constructed of nylon with hook-and-loop closures. The Fastrap is adjustable from pediatric to adult, and includes a strap for the patient’s wrists.